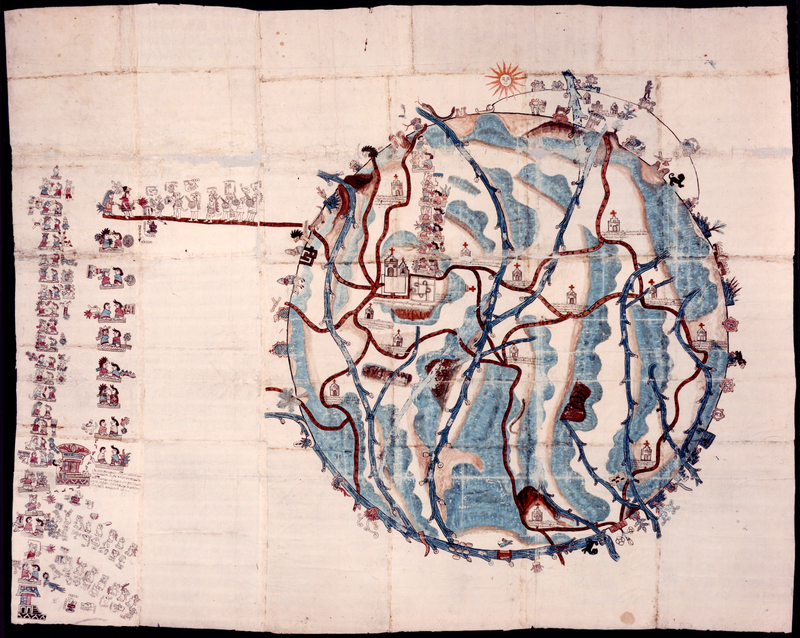 Mapping Memory: Space and History in 16th-century Mexico features a selection of maps from the Nettie Lee Benson Latin American Collection at The University of Texas at Austin. Local artists crafted these unique materials by commission of the King of Spain to deepen his understanding of his territories in the so-called New World. The exceptional aesthetic value of these maps enhances their ethnographic content. The exhibition coincides with the 500th anniversary of the arrival of the Spanish in Mexico, aiming to provoke reflection on the complexities of the conquest of the Americas by acknowledging indigenous perspectives.